Ogy's log: TeamCompanion for Outlook 2007 released! A few days ago Ekobit has released the TeamCompanion for Outlook 2007, an Outlook Add-in that integrates Outlook and mails with the Team Foundation server and work items. If you spend a large percentage of time in Outlook writing and reading mails and at the same time work in a Visual Studio Team System based environment, wouldn’t it be great to have everything you need at hand – all the work items, mails and the great integration of the two. 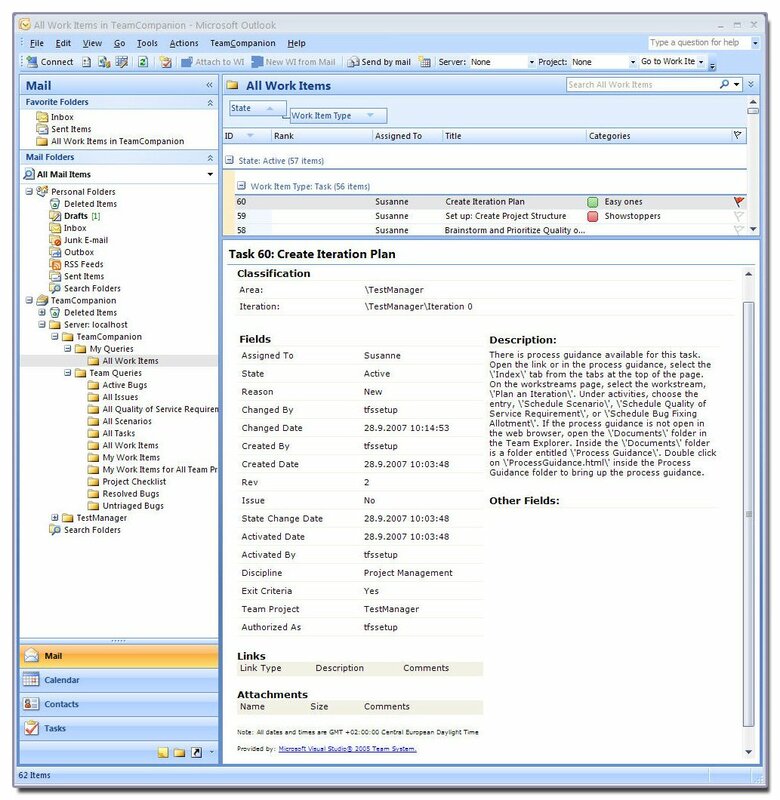 TeamCompanion offers great features that make work item management within Outlook enjoyable experience. Actually, for the last two months, I’ve been working with work items almost exclusively using TeamCompanion. Not only to dogfood the product, but also because it is easier and in some ways more elegant than with any other existing tool. Through ease of use, TeamCompanion enables efficient communication, better work item management and less friction between them for less effort. TeamCompanion gives you the ability to execute all the usual work item queries, access every work item field, group, filter, categorize, search (over all textual fields, including even the names of the attachments) and create appointments for work items, send them as a mail or export to MS Office OneNote. To have them always at hand, add your most frequently used queries to the favorite folders window. TeamCompanion also gives you the ability to take work items with you offline, and still do all of the above things except executing the queries, of course! When you are online once again, you will additionally be able to create, edit and quickly open work items, create work items from mail and do lot of other things. 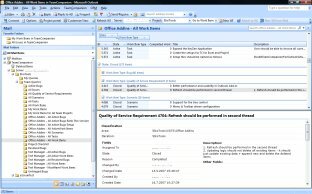 If you feel friction between the ways you communicate using mails and the way the work is managed using work items, Team Companion for Outlook 2007 might be the solution.